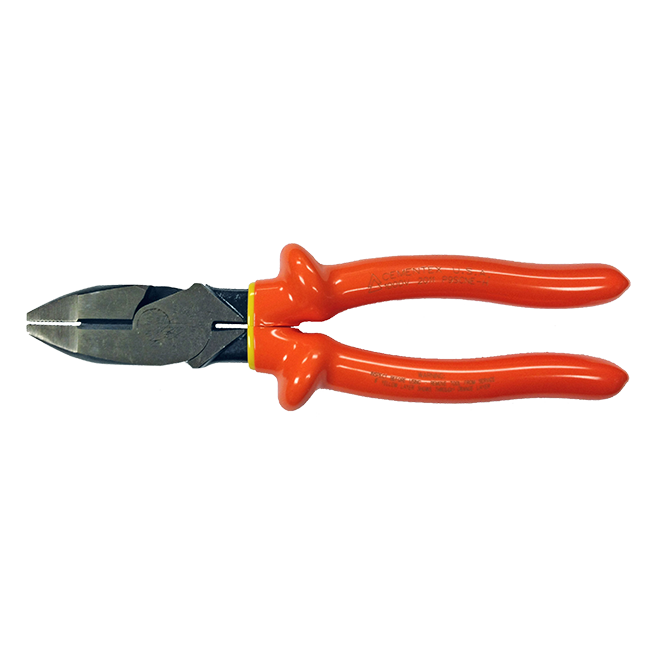 High-leverage side cutting pliers with New England nose. Heavy-duty cutting knives. Cuts ACSR, screws, nails, and most hardened wire.